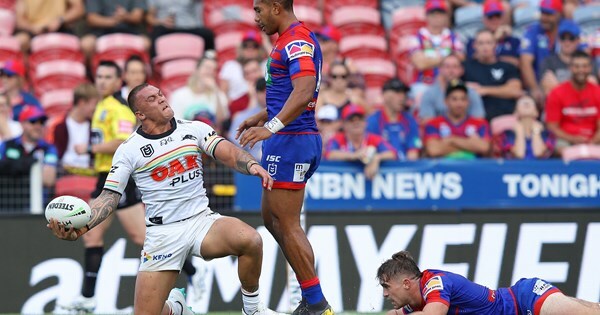 A try either side of half-time was enough to allow Penrith to sneak away with a 16-14 win, their first of the 2019 Telstra Premiership season, with one of the Panthers heroes being second rower Isaah Yeo. Dylan Edwards, 2. Josh Mansour, 3. Dean Whare, 4. Waqa Blake, 5. Dallin Watene-Zelezniak, 6. James Maloney, 7. Nathan Cleary, 8. James Tamou, 9. Sione Katoa, 10. Reagan Campbell-Gillard, 11. James Fisher-Harris, 12. Isaah Yeo, 13. Hame Sele. Luai would have to think he is unlucky but i understand you cannot carry another half in the squad and its a forward stacked bench so no stars for thinking its going to be heavy going with the big boys. I posted earlier the Knights looked workmanlike so doubt they will change what they brought to the table last weekend and Panthers…well they all simply have to lift. Outside lifting i would love to see a hint of a game plan because we didn’t have one on Sunday and away from home all the advantages are with the Knights. … side can’t afford both Cleary and Maloney at the same time anymore. health benefits. For mine Luai has to be in the side. I wouldn’t rush for the exit yet Puss but i will need to see a major improvement from many in the team but to be honest i don’t see us making a dent in the Newcastle forwards who are all pretty honest and are not saddled with any expectations save for Klemmer who had a good outing last week. We should be very wary because Cronulla have a mongrel forward pack and they were tamed by the Knights forwards last week. If our forwards don’t lift as a group it could be a very long afternoon again for us Panther supporters. Luai in or out ? If in, for who? 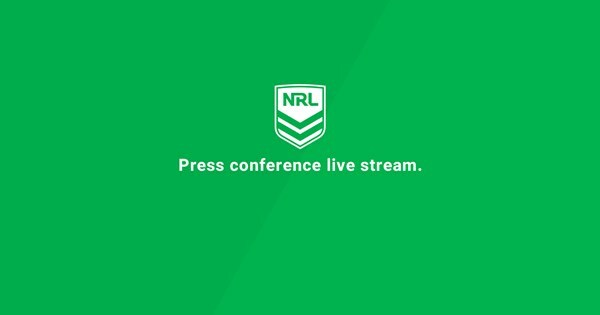 Puss, I disagree and would have both Cleary & Maloney in BUT we need to go back to a conventional halves combination, Cleary to steer and Maloney to roam free, this structured crap with one each side is ridiculous. I like Luai and he seems to have added a few kegs, I would treat him a bit like a peachey ATM and let him feel the game when he gets on, unfortunately it’s usually a specific task if he is a replacement rather than a interchange. told me about … goin backwards. wouldn’t we be better off with Luai roaming free? In time yes, I think Luai can be so much to this team in so many positions, all of which will give him a far greater appreciation of his natural job of being a half. Happy to maintain the status quo at this stage, the fact we lacked effort is not Maloney fault, that is something Ivan needs to fix on a wholistic front. … why are we in white, again?? Winter stein walks into the club and gets a Guernsey??? scintillating stuff thus far, on the edge of my seat. Maloney was better, Cleary was worse. Game was awful. The only thing you could say about this game is we got the money…we beat ourselves and they almost beat us. Not sure there is anything we can take out of this game except we got 2 points. Was there improvement? Sure. was there enough improvement? Not so sure. A dry track today at least gave them a better chance to sharpen things up up in attack, but it was clunky at best. On the other hand though, I thought defensively we looked better than last week and the forwards really took aim. Tamou was a standout agtain today, and RCG looked to be back into the swing of things. I thought Winterstien’s first hitout in Panthers colours was great, he hit the line hard and had a touch in everything defensively. The back line though looked… how would you put it… “Out of Sync”. the ball wasn’t sticking and hitting the mark and you ad players over running the line. It was real clunky at times. The first half was terrible, but it looked to be getting better in the second half. But Maloney’s try saving strip over the line was masterful. 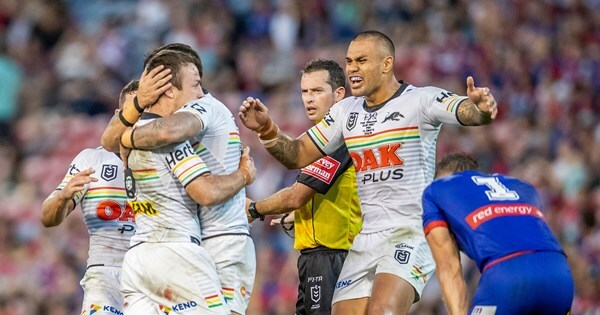 DWZ look daze as Edrick Lee passed him and for Maloney to get under him and strip that ball… well that (to me) what won it for us today. The defence did not want to give the Knights an inch. Also MWZ pulling the ball back into play leading to a try by Winterstein was a perfect example of the ‘never give up attitude’ that needs to serve as the teams mantra this season. Still a long way to go, but there was improvement this week, be sure of that. out of sync and clunky are 2 terms which adequately describe our game. Is Mansour hurt or was he dropped? MWZ had a great game and his brother looks to me he is having a dummy spit about not being FB and he looks really out of form but he is not alone…Whare was really flat and Edwards was there but almost invisible. Maloney still remains a major risk despite his try saving effort and his hit on Watson…his defence is so poor and his giving away of penalties is deeply concerning…at one point we were 1-5 on the penalty count and this level of poor discipline cannot be sustained and against a team like Storm who we play next week will make us pay big time. Is Kikau that much of the difference for us? I saw one set play and we scored a great try where Ponga was wrong footed but it almost seemed once we got in front we took the foot off the pedal. Maybe at training this week…there just needs to be a session to allow any disagreements to be aired …whether you think you should be playing somewhere else, you should be in the run on team etc. They just have to all get on the same page and its more then noticeable to me and i am sure coaches…too many of our players are distracted by runners aiming at Maloney…our defence all moves in protecting his mistakes and opens us out wide for the winger. Bellamy will have his team running every play at Maloney and opening us up at will if we don’t rectify this weakness. Maybe Maloney should come off the bench? Maloney off the bench…what the ! If you take a closer look, and I don’t want to be a ref bagger, but the count early is 5-1 against, and some of them were real 50/50, we then get back to 5-5 on the count, have the momentum and kick out to a lead. Somehow we have to get rid of the ref penalty KPI, it will kill our game. … and Nathan Cleary’s contribution ??? Up there with DWZ - don’t know what is going on other than it’s early days, they are far too good to continue playing like the first 2 games. Benefit of the doubt at this stage I say.